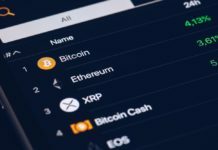 The UK payment system Skrill allows to transfer money using only an email address, announced support for 4 cryptocurrencies. Using Skrill Cryptocurrency Service clients from more than 30 countries can instantly buy and sell cryptocurrencies, namely Bitcoin, Cash Bitcoin, Ether and Litecoin for any of the more than 40 Fiat currencies. Note that Skrill, formerly called Moneybookers, Paysafe included in the Group positioned as “the world’s leading provider of integrated payment solutions” working with “200 payment types” and advanced technologies in this field. The company’s experience in online payments is more than 20 years. 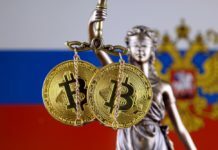 Reportedly, Skrill Cryptocurrency Service operates through a partnership cryptocurrency exchange, where available purchase and sale of cryptocurrencies and, in some cases, storage of coins through the custodian service of the stock exchange. 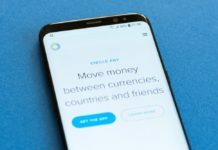 According to a press release on the website of Paysafe, Skrill is planning to release its new product in additional markets and to integrate it into your mobile app and digital wallet Neteller Paysafe within the next three months. “The world of cryptocurrency trading is an exciting and dynamic, and our digital wallet is very suitable for such conditions. I’m sure the opportunity to trade cryptocurrencies quickly and easily via Skrill will appeal to consumers, both now and in the future. 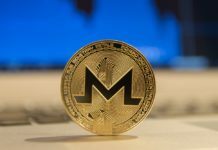 We know many people who want to experiment with cryptocurrency trading, but do not know where to begin, and we have made this whole process very easy,” said the CEO of Skrill, Neteller and Income Access Lorenzo Pellegrino (Lorenzo Pellegrino). As noted in the press release, all you need to do is to log into your account, choose “Exchange”, after which remains only a couple of mouse clicks and you can start to buy, sell and store cryptocurrencies. For the convenience of users the company offers to buy a prepaid card tied to the account in one of four currencies: USD, EUR, PLN or GBP. The map is available under the brand Skrill and works on the basis of the payment network Mastercard. According to information provided on the website, at this stage, users can transfer bitcoin to other customers of Skrill and use the service to pay for goods and services — these options will be added in the future. On the other hand, speed and efficiency” of the process of creating a new user will allow you to start trading “faster than ever”. It is worth noting the launch of Skrill Cryptocurrency Service comes at a time when many providers of traditional financial services are considering the opportunity to participate in what they used to be considered “cryptocurrency crazy.” In June a license to work in new York, the state with the most stringent requirements received payment startup Square, which customers can now buy and sell bitcoin using app Cash. Residents of other States using the service since January. At the same time, Stripe, another well-known startup that offers online payments, by contrast, had stopped supporting bitcoin transactions in April of this year, after four years ago became the first major company to start work with leading cryptocurrency.